One of my favorite iOS 9 features is the ability to add attachments to an email from any “Storage Provider”. A Storage Provider is an app that has registered with iOS as a file provider, like Dropbox, Google Drive, OneNote, etc. Since the storage provider system is built right into iOS, this means you can attach files from Dropbox into any email. 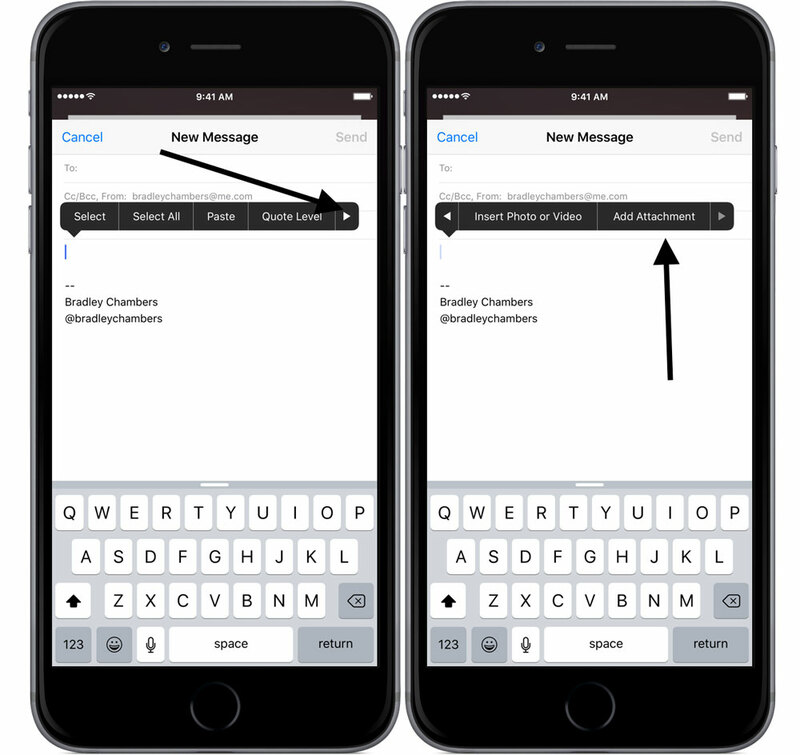 To get started, tap and hold on any empty area in the email body to bring up the menu for Select, Paste, etc. Tap on the arrow to view more options. Tap Add Attachments. 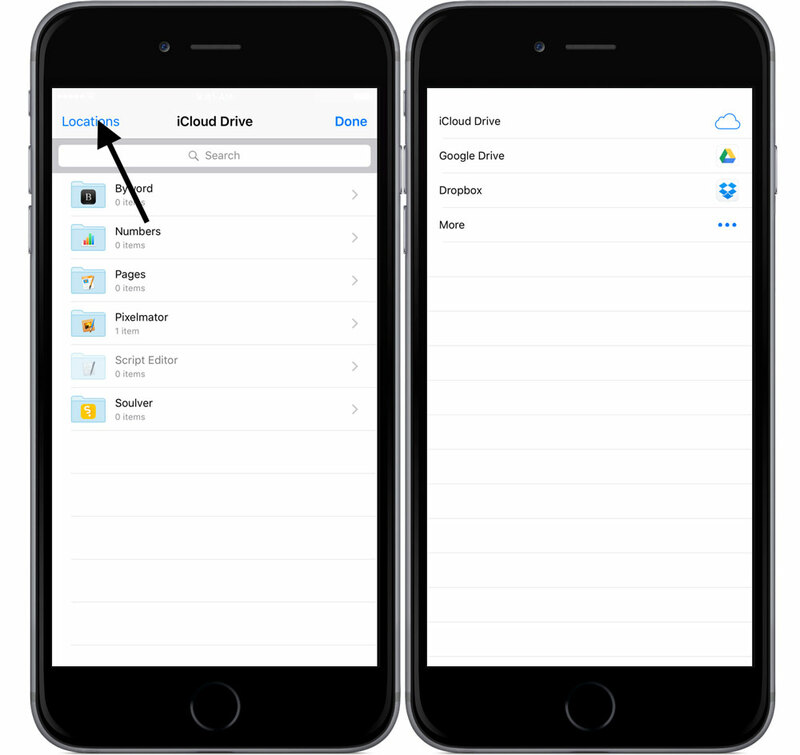 This menu will bring up your iCloud Drive files. To see your other storage providers, simply tap Locations in the top left. You will now be able to see all your storage providers. If you don’t see any, just tap More to manage your locations.